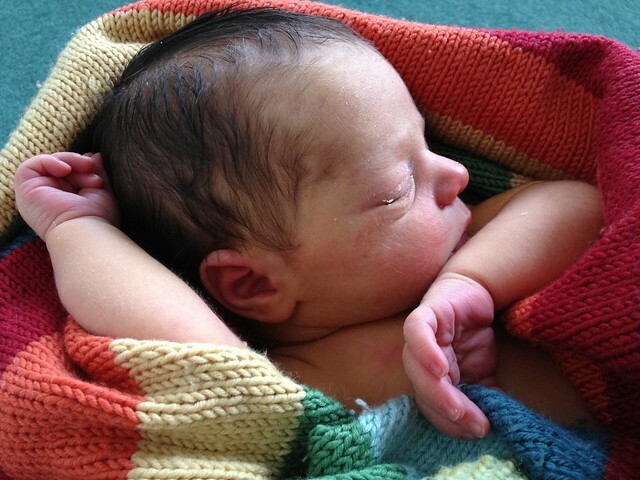 My second child was born without a midwife present, although it wasn’t exactly premeditated. 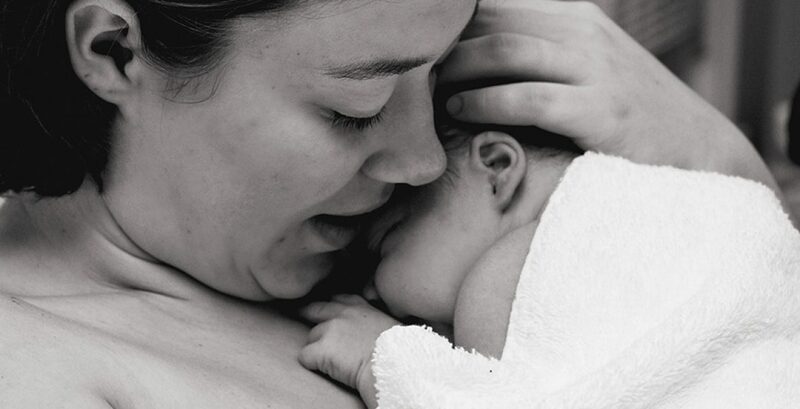 I considered the option of calling ‘them’ but it never felt like the appropriate time to allow a stranger into my birthspace – as having a homebirth with the UK National Health Service at the time would have meant that I would not have met the midwife who was sent out to my home on that early March night. And the second stage of labour, when the contractions accelerated massively in intensity and frequency, thrust me very quickly into natural pushing, which resulted in the sudden arrival of my baby boy. My experience with the NHS midwives at my first son’s birth was mixed and overall not so positive ( I will write aboout that birth in more depth another time). Hence, my deliberation about whether to allow them in . My daughter’s birth, the third, was in the presence of a very experienced home birth midwife working in Portugal at the time. We had developed a relationship of trust over the course of the pregnancy and I was very grateful for her companionship and passion for water birth, which led to the beautiful underwater birth of Sashi. Similarly, choosing to film or photograph one’s labour and birth is a decision that should be given plenty of thought. The feeling of being observed during established labour can lead to the woman feeling inhibited and unable to follow the instincts required in the raw, intimate act of birthing. A mother should not be thinking much at all but certainly not about how she appears on camera or whether her ‘performance’ is up to scratch. The presence of any kind of camera should not be at the cost of her being able to fully sink into the altered state of ‘labourland’. Having said that, I am deeply grateful to the women who allow the camera into their birthspace and to the skilled (and hopefully quasi-invisible) photographers who capture some of the breathtaking images of labouring and birthing women. We can learn a lot about what a beautiful, life-changing experience birth can be from such footage and pictures. In the first video, we see a mother ‘freebirthing’ her 4th child (ie. without a medical professional present). She is clearly very confident in the process having gone through it three times before, which makes it different fom watching a first time mother. However, I believe that a first time mother can give birth in a similar way if she has developed the trust in her body and is protected from disturbances during her labour, allowing her hormones and mammalian instincts to guide the process. I don’t need to say much about the video, it speaks for itself. How simple birth can be without the intervention and paraphenalia that all too often accompanies it. There is nobody telling the mother what to do or how to do it. There is no great ceremony or drama, just a mother giving birth to her baby in a simple, primitive way. She delivers the baby and deftly catches it. I was particularly impressed by her confidence gripping the baby to prevent it falling to the floor from her standing position as they can be so slippery with vernix when they come out – this is a sign that she has done this before. She puts the baby to her chest and then, a while later, settles down in her living room where her older children come to greet the newborn. The birth flows into family life. Interestingly, the second video is described as an unassisted breech birth. The setting is very different from the modest family home in the first video, this one takes place in Hawaii where the labouring mother spends time swimming with dolphins before settling into a bathtub to give birth. Vaginal breech births are incredible to watch when the baby is allowed to descend without outside intervention. And this mother remains amazingly calm throughout. However, what I appreciate most about this video is that there are midwives present but there presence is almost undetectable. At one stage, one of them leans in to try and wash away some meconium from mother and baby and there is a verbal cue for the mother to lift the baby’s body to allow for the head to emerge. They are so ‘hands-off’ that the birth has been described as ‘unassisted’ because it is led by the mother and her baby. This is when we realise that, while some women make an informed decision to give birth without a medical professional, it is also possible for a midwife (or even a doctor) to be present without their presence being an intervention in itself. A midwife can be a quiet, reassuring presence in the background who does not get involved in the birth unless and until it is absolutely necessary. I hope that as part of their training, midwives, nurses and obstetricians are watching videos of unassisted births so they can see what birth looks like when it unfolds in its own unique way and time, without being observed, watching the clock or the woman’s natural instincts being inhibited by lights, technology or inappropriate talk. And thanks again to the women who have allowed the camera into the private arena of birthing. I have no doubt that the intention of these mothers is to share with other women out there, pregnant or otherwise, that this is how birth can be when you are in your power. Your body knows what to do. Nobody else need tell you how to do it if you are in an environment that supports your body’s physiological needs [link] for smooth labour and birth. Next postWhy trust in birth?